The original and iconic design from Danish designer Ebb & Flow – Lute’s bulbous clear glass design betrays its Nordic roots with its stark simplicity and authentic, clean aesthetic. 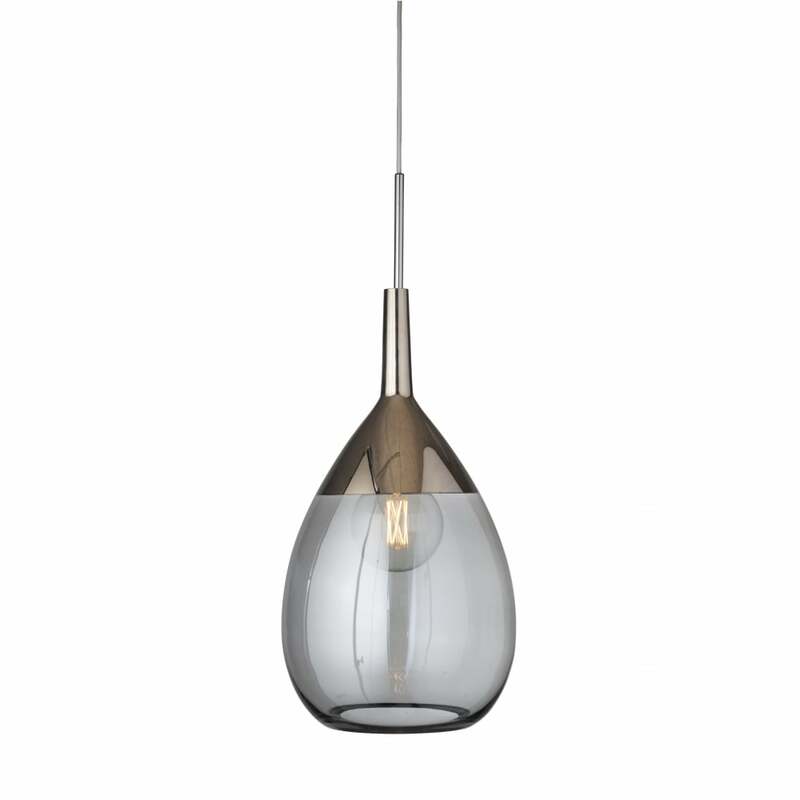 This ‘modern classic’ in stunning ceiling pendant style achieves perfect equilibrium thanks to a rounded base tapering smoothly towards a slim metallic-coloured glass tip. Carefully composed with fine mouth-blown glass, Lute is inspired by the musical instrument it is named after and delicate vintage perfume bottles in gentle pastel hues. New for 2018, the 22cm diameter light has been joined by a 14cm diameter x 27cm high mini pendant and a 31cm diameter x 70cm tall larger version. There are a vast array of glass colour and covering metal combinations ranging from Coral glass with Copper covering to Obsidian glass with Platinum. Lights come with gold or silver round textile cord. Hang singularly or in clusters for a truly eclectic, high-end feel. See also the matching Lute Table Lamp and Shades, totally new for this year.